Description:Rotary hose, oil drilling hose. It’s flexible driling rotary hose. drilling hose is also used to correct the connection between drilling pipe and stand pipe to avoid shake. Sometimes to transfer high oil or water base mud with the lowest aniline point of 60? from the swivel pipe at high pressure, and down-hole operation high medium such as water, oil etc., drilling rotary hose can be used for improve or amend work too. 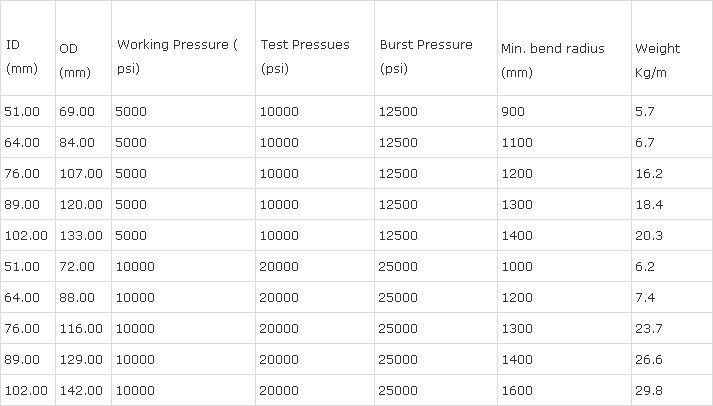 Above drilling hose information is for your reference. If you are interested please contact us now. Get price and delivery accordingly.